Summary: While Christians sometimes speak of childlike belief as “blind faith,” this gift of the Holy Spirit is anything but blind. Rather, faith is the believer’s clear-eyed, evidence-driven certainty. Faith is built on the Word of God in the testimony of the prophets and the apostles and the recorded deeds of our God as He worked to bring salvation to fallen mankind. God’s evidence clearly points out that our faith and hope come not because we earn them but as pure gift. We inherit eternal life through the righteousness of faith, knowing that we own no native righteousness. Faith leads us to confess that we are “poor, miserable sinners,” which is a pretty major handicap to earning any favor with God. Faith also leads us to believe and confess that we are saved by grace for the sake of Christ, who earned every blessing that we now possess and every one still promised. Text: Now faith is the assurance of things hoped for, the conviction of things not seen. For by it the people of old received their commendation. By faith we understand that the universe was created by the word of God, so that what is seen was not made out of things that are visible. 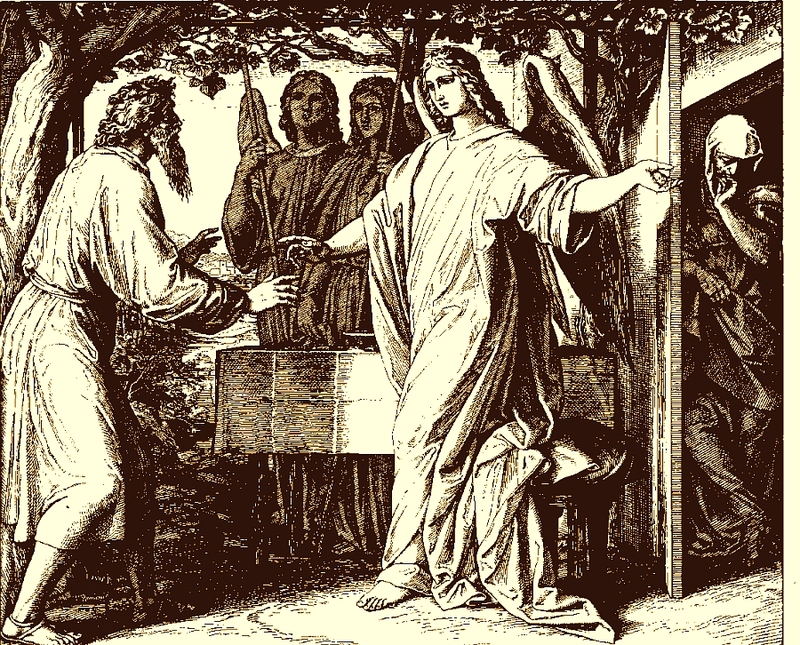 By faith Enoch was taken up so that he should not see death, and he was not found, because God had taken him. Now before he was taken he was commended as having pleased God. And without faith it is impossible to please him, for whoever would draw near to God must believe that he exists and that he rewards those who seek him. 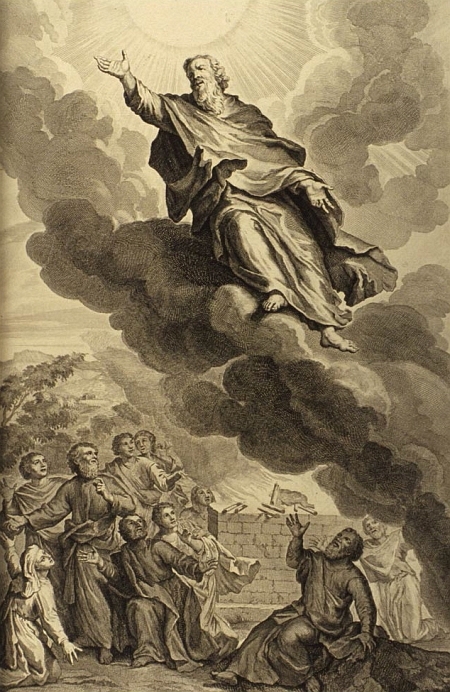 Illustrations: Translation of Enoch from Figures de la Bible (1728), illustrated by Gerard Hoet. Abraham and Sarah Promised a Son from Die Bibel in Bildern (1860), illustrated by Julius Schnorr von Carolsfeld.